In communities experiencing disruption, performance can help push meaningful stories into public discourse and inspire action. Such a platform for equalizing and expressing voice is Performance in the Borderlands (PiB). 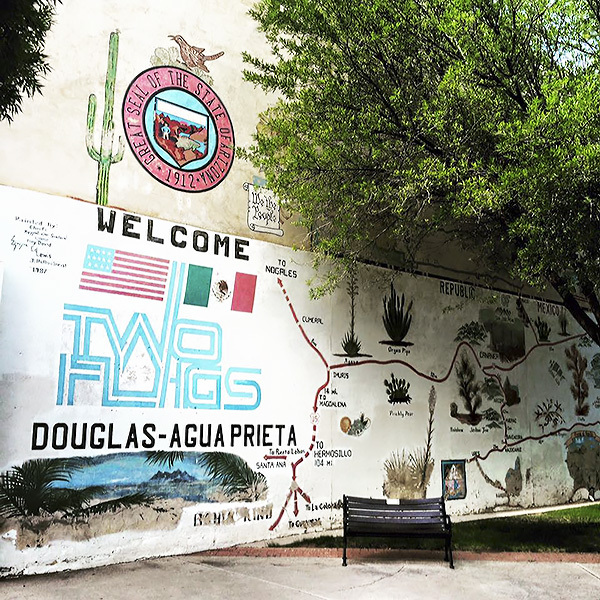 An initiative of the ASU Herberger Institute School of Film, Dance and Theatre, PiB is a mix of educational program, research and experiential cultural performance, and features artists and scholars in creatively exploring the art and politics of the borderlands. As a framework for inclusion, cultural citizenship helps us reimagine what it means to belong and be represented in society in ways that do not rely on the state, but instead reimagine citizenship as participatory and founded on struggle. It is also a concept rooted in the struggles of people of color who face outright exclusion by the state. Arts practices are a key component of cultural citizenship because they are fundamentally about an individual or group’s own voice. Art’s creation is an important social justice methodology to create visibility especially for marginalized communities. As with much of the modern world, migration and displacement characterize the experience of most human beings. If we take the United States, its modern history is one of immigration, migration, genocide, and struggle. To honor and accurately understand this history is to acknowledge that the United States is built, literally, on a diversity of cultures. In other words, every nation is a complex and dynamic place of changing culture. We absolutely need to include the diverse narratives and practices at all levels of society. Performance in the Borderlands is a dynamic space for arts production that is conceived as an organizing tool at the service of communities and social justice issues. As producer, I see, first hand, the mostly all-white spaces the arts occupy. Early on, PiB adopted a model that included, at all levels, a diversity of producers and artists — it has not always been easy. The ethics of representation and practice is something we discuss consistently. Our vision is to tackle pertinent issues with as many diverse bodies and voices as possible. Perhaps my favorite part of our work has been collaborating with the co-producers who have made the work possible. Collaboration is key to our work, in fact, it IS the work. Without the many hands, voices, opinions, and insights, PiB’s work would not have flourished. Along these lines, I would have to say that Banned Plays is one of my favorite productions, because it worked with so many people to bring to life plays that had been banned in the public sphere. I’d like to name a few: Rashaad Thomas, Asantewa Sunni-Ali, Nuvia Enriquez, Tomas Stanton, Erica Ocegueda, Kate Saunders, Ayo Sinplaneta, Steffan Jones, are just a few key artists, there are many more. The Banned Plays series was a critical response to the Ethnic Studies Ban in Tucson. Artists, scholars, producers, and community members came together each month to read plays. We had hundreds of people come to see the work, it was actually pretty amazing. 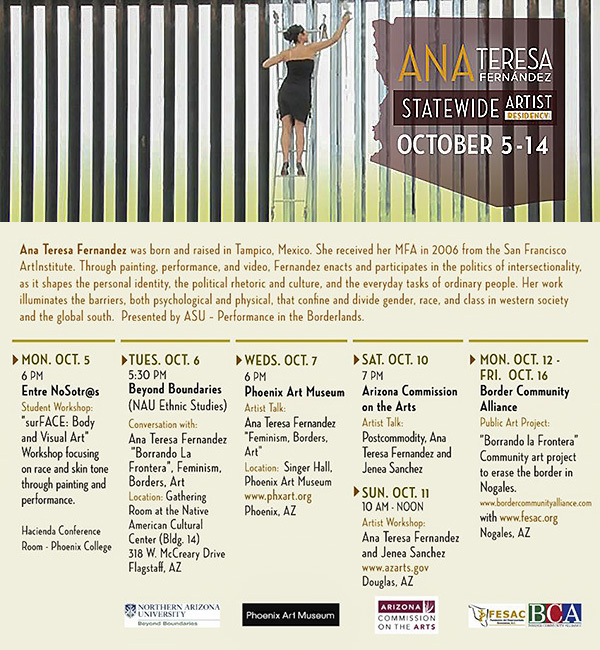 In October, we will launch our first statewide residency with Ana Teresa Fernandez, a Mexican-born artist who focuses on feminism and the border. We are working with a great group of female producers (Entre Nosotras, Dr. Michelle Tellez at NAU, Arizona Commission on the Arts, Border Action Alliance, Gaby Munoz at Phoenix Art Museum) to create engaging work with communities. Ana Teresa is such an inspiring artist, and we felt it was time to de-center Phoenix and embrace the rich communities across the state. Of course, each community knows itself better than PiB, so each co-producer is working to make Ana Teresa’s visit locally grounded in the values of their specific location.